You can create some super sweet cards and projects with this 4x6 inch set. 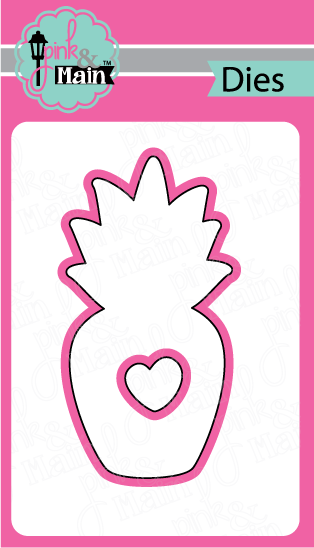 The pineapple and fun phrases are sure to put a smile on any face! Layer the pineapple and sentiments for a dimensional look. You can create some super sweet cards and projects with this 4x6 inch set. 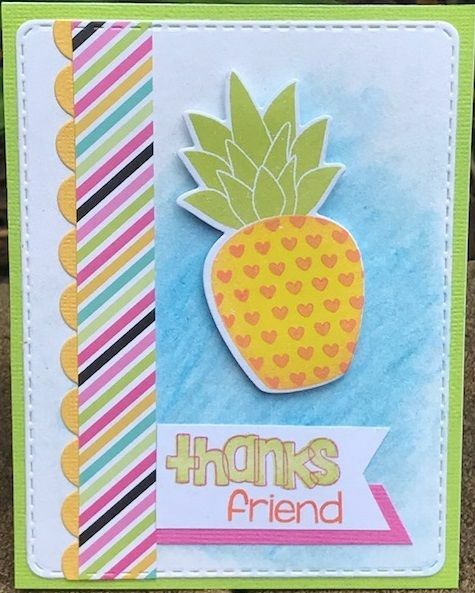 The pineapple and fun phrases are sure to put a smile on any face! Layer the pineapple and sentiments for a dimensional look. There is a coordinating die set available for this set. This is a set of high quality steel-rule dies that coordinate with the Aloha Pineapple Stamps. The dies cut the shapes shown and work with many of the popular die cutting machines such as the Big Shot and the Cuttlebug.